Described as a "grievous loss" by Michael Jackson, the triple-distilled Rosebank is regarded by many as the best of the Lowland single malts. Closed in 1993, its site on the Forth & Clyde canal and relatively low production levels meant that it did not compare favourably with the much larger and picturesque Glenkinchie. It has been mourned by whisky aficionados ever since who miss its floral and aromatic style. 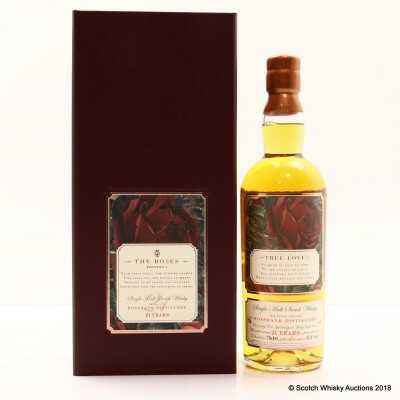 This is the first release in the Rosebank Roses series, from Speciality Drinks. As you might imagine it sold out in no time at all. Please examine all images of the lot, any packaging and labels carefully and satisfy yourself as to their condition before making a bid.